Apple has just released iOS 10.3.3 beta 6 as well as macOS 10.12.6 beta 6 to registered developers and testers of Apple Beta Software Program. Today’s beta 6 release of both iOS 10.3.3 and macOS 10.12.6 comes only a week after the previous beta 5 seed and is now once again ready for both development and testing purposes. As far as beta releases go, having as many as six beta builds for minor updates like iOS 10.3.3 and macOS 10.12.6 are kind of strange and unheard of from Apple given these many builds are usually seeded for major updates which are released annually only once a year. But with Apple now releasing so many builds for a point update, it’s either a case of the company now giving just as many engineering resources to minor point updates as major updates, or it has discovered a major showstopper bug that needs to be fixed before the firmware can be pushed to millions of consumers worldwide. Whatever the case maybe, those with a configuration profile installed for iOS 10.x betas can grab the update from Settings > General > Software Update section on an iPhone, iPad or iPod touch device. Mac users can do same by launching Mac App Store and grabbing the update from under the Updates tab. Those new to Apple developer betas will need to first head over to developer.apple.com to get started. 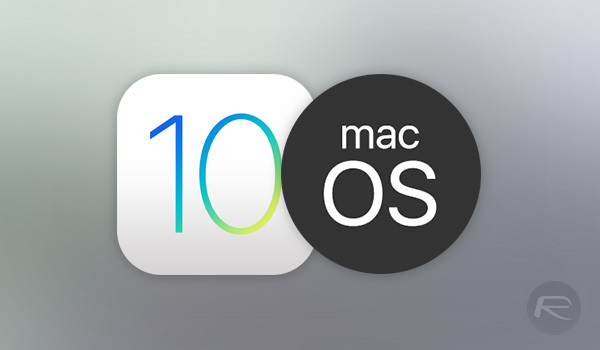 As far as features and changes in iOS 10.3.3 and macOS 10.12.6 in general goes, there is nothing worth pointing out or worth talking about as both of these are nothing more than minor updates bringing in under-the-hood performance improvement, security patches, and bug fixes to improve the overall experience of the platforms. Interested in iOS 11 and macOS 10.13 betas? You can check out our detailed article on both here, and here respectively. 2.02GB on an iPhone 7 plus running iOS 10.3.3 beta 5. It seems this is iOS 10.3.3 Final.